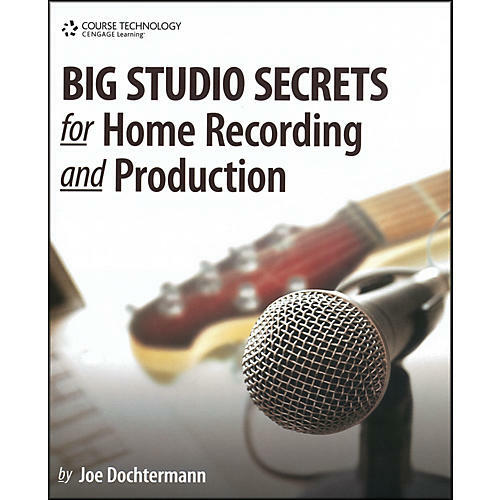 This book will give you the technical prowess you need to make solid recordings, as well as tips and tricks to make your recordings stand out in the crowd. Many famous recordings, ones that sound excellent even by current standards, were made with simpler equipment than most modern home studios have available now. You can expect to glean ideas from classic recordings, understand modern techniques, and -- with a little hard work -- create the sounds that might place your work within the next generation of influential music. Youll learn about microphones and microphone technique; how acoustics affect recordings; how to improve your studio on a shoestring budget; how to EQ, compress, and use effects on your tracks; how to produce, arrange, and mix; and how to master your recordings. The companion CD-ROM illustrates the examples with graphics and audio, providing a hands-on approach to learning all the concepts. 2. Looking Back: A History of Recording. 3. An Overview of Studio Setup, Traditional and Modern. 4. Studio Space: Dealing with Limitations. 5. Microphone Choice and Technique. Joe Dochtermann became interested in recording at age 16, after receiving a Tascam 4-track as a present. After studying Music and Sound Recording at the University of New Haven in Connecticut, he has worked as an engineer around the world for clients including Danny Kortchmar, singer Charlie Karp, bass guitar legend Harvey Brooks, MCA records, V2 records, acclaimed classical violinist Alexander Markov, and bluesmeisters SloLeak. Joe's latest project with his band Troutband brought him and bandmates James Prosek and Rick Richter to the late Johnny Cash's private studio to record with Nashville legends Marcus Hummon, David Roe, Rick Lonow, and Chuck Turner. Joe now lives in Berlin, Germany. He is an avid guitar player, and since moving to Europe, he has written for Guitar magazine in Germany and published a series of music instruction books including The Charlie Christian Method for Jazz Guitar Improvisation, Master the Fretboard: Applied Theory for Guitarists, The Chord and Harmony Guide for Guitar, and Pro Techniques for Home Recording. Joe also continues to compose and produce music with his band project, Troutband, which can be found at www.troutband.com. You can learn more about Joe at www.joedocmusic.com. Contains clear examples and specifics. A complete guide to the field of home recording and production.